Founded in 1862 in the days after the Civil War, Atlanta’s historic Friendship Baptist Church is one of the oldest African-American churches in the city. Twenty-five freed slaves formed the church which held services every Sunday and classes during the week for the youth. The church ultimately became the birthplace of both Spelman and Morehouse Colleges and is also the “Mother” church to nine other African-American Baptist congregations. Falcons bought the church for $19.5 million as part of a plan to construct the new retractable-roof Mercedes-Benz Stadium. The site for the new 44,000 square foot church will be located at 80 Walnut St. 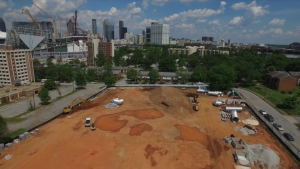 S.W., close to the Atlanta University Centers, and plans call for construction be completed in April 2017 in time for the church to celebrate its 155th year anniversary. The new church will contain state-of-the-art technology and a sanctuary that seats 500. Many elements of the historical Friendship Church building have been preserved and will be incorporated into the new building. Stained glass windows will be reused along with the church’s original bell and pipe organ. vices is proud to be a part of this important project. They have been contracted to prepare the site horizontally for vertical construction. This entails clearing the site of existing trees, shrubs and vegetation, ensuring positive drainage to be maintained on site to prevent ponding. 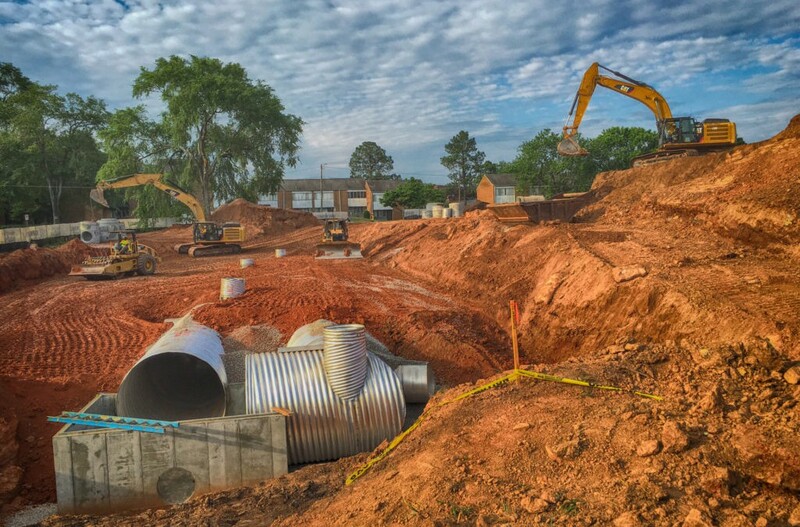 Provide complete erosion control, grading, clearing, sanitary and storm sewers and systems, and water systems. Lewis Contracting Services is a privately owned and operated service provider. The company is increasing its capacity in the horizontal construction industry seg ment by winning contracts and extending their services to clients in government, state and local municipalities throughout the state of Georgia and throughout the southeast. On a mission to be the leader in the heavy civil segment of the construction industry, LCS focuses on delivering cost-effective construction services with uncompromising standards. LCS combines the perfect blend of experience and technology to enable them to deliver excellent services, safely on time and on budget. I appaceirte you taking to time to contribute That’s very helpful.